I’m about to spend a couple of weeks in Thailand, and while I have most of my projects under control, there is still some code I need to work on. I also don’t want to carry a full development setup. 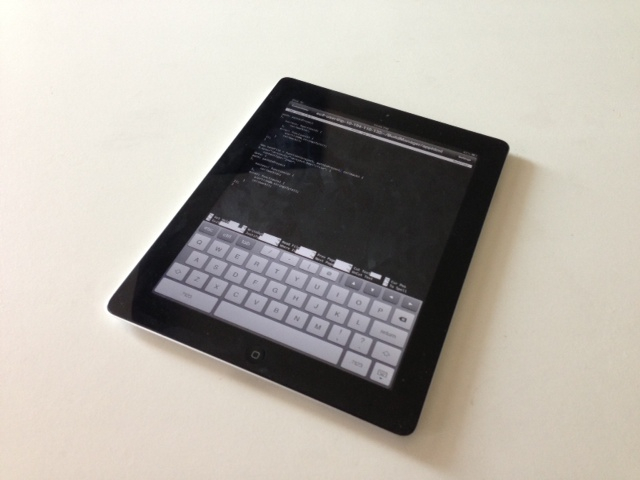 It’s time to try an experiment I have been thinking about for a while - working on code with access to only an iPad. I’ve done a few things to prepare. The basic idea is to set up a server (EC2 micro instance) that can do most of the things I usually do on the mac, and make it somewhat easy to use. I don’t expect to be able to release iOS apps or do much of anything with SharePoint, but most of my work at the moment is web so should be achievable. Why source control is worth it, even for personal projects.